Today, between telling Liam NO, he could not have this 46th piece of banana laffy taffy, forgetting the hose running in the yard for hmmm, I think, 3 hours (shh, don't tell Travis), and a major clean-out-the-fridge-and-make-odds-and-ends-eatable day I think it was a great day! You know what I mean? A get sh*t done kind of day. Do you ever have those? So, one thing I did was make an odd cup of currants into jam! It's so easy. You SO need to make jam next time your over-ripe fruit is gathering fruit flies sitting around waiting to be something greater. 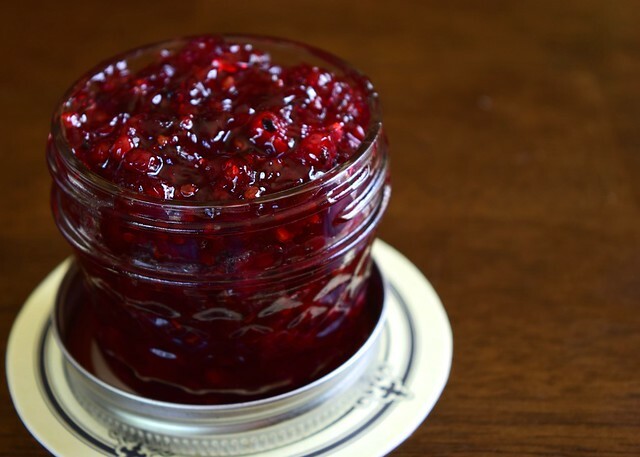 Refrigerator jam is quickly made on the stove-top, slightly simmered for under 10 minutes until thickened to your desired consistency, then cooled and stored in the fridge for up 2 weeks or frozen for 6 months. Use any fruit you have an excess of — berries of all types, peaches, cherries, rhubarb, I used currants. And don't let me forget to show you my other currant dessert here. 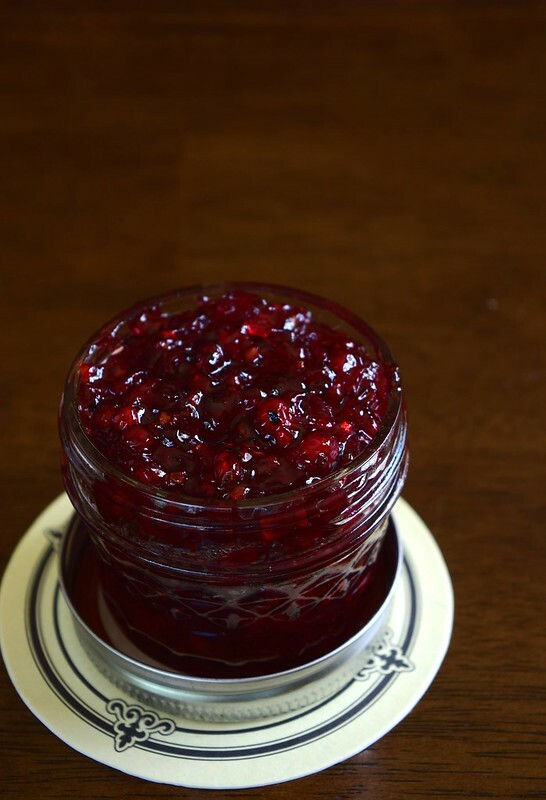 Back to jam: You could even do a sweet-savory combo with zucchini, red pepper or jalapeño. If little people rule your world, like me, you probably go through a lot of PB&Js. So, start those little people off with some real fruit spread! Cooking Note: The amount of sugar can truly be tinkered with to suit your family's tastebuds. The type of fruit being used will be a big contributing factor into how much sugar will be needed. Because I used currants (really tart) I used a lot of sugar (1/2 cup to 1 cup of currants), but my jam still turned out with a decidedly tart flavor. Place all ingredients in a small saucepan over medium heat, bring up to a bubble. Gently simmer for 6-8 minutes, stirring occasionally. When jam reaches the desired consistency, remove from heat and allow to cool. Pour cooled jam into a small jar with a tight-fitting lid, move to the refrigerator with the lid slightly ajar until jam is fully chilled. When the jam is chilled, close tightly and store in the refrigerator for 1-2 weeks. Can be frozen up to 6 months.